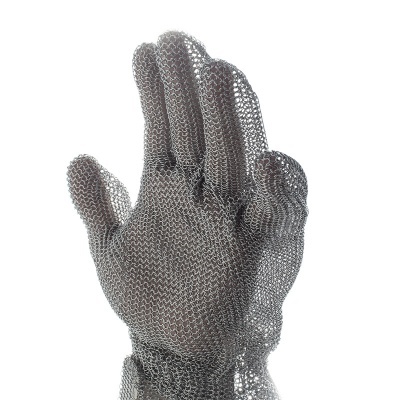 Designed to offer extra protection to the usual chainmesh glove, the Honeywell Chainexium Chainmail Glove Long Cuff 2533331X-A0302 uses an extra long cuff to offer unparalleled cut protection to the arm. 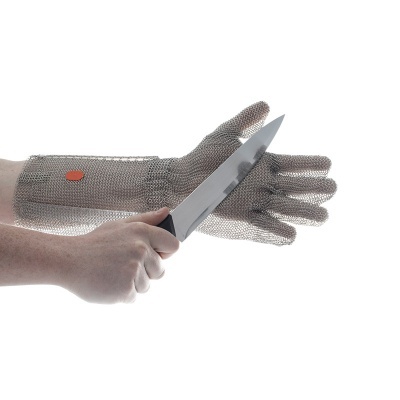 This makes the glove ideal in high risk environments where knives are used, such as in the kitchen, filleting fish or oyster shucking. 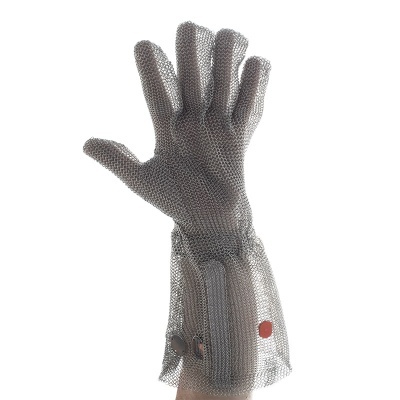 The Chainex Butchers Glove is available in five sizes that should suit the hands of most users. Please measure the length from the top of your tallest finger to the point at which your hands meets your arm and match up to the table below to ensure a safe and secure fit. Please bear in mind that the cuff length of 200mm, which does not cover your hand.